"I can still see it very vividly in my mind." Colby Landrum revisiting the road. 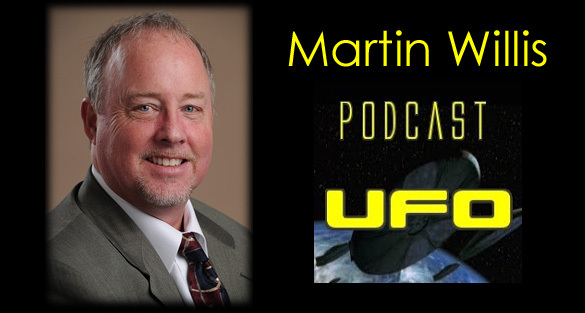 Martin Willis really scored when he managed to convince Colby Landrum to agree to be interviewed on Podcast UFO. 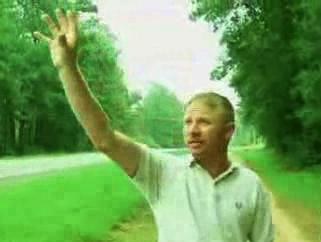 Martin had already scheduled a show devoted to the Cash-Landrum case with Chris Lambright and me, but having Colby talk entirely changed the focus. Instead of a review of the case and analysis of recent findings, things shifted to strictly presenting eyewitness testimony. Colby was asked to recount events as he remembered them, leaving out what he may have heard later. He did a very good job of that and was frank about things he just didn’t remember. He was candid about its emotional impact on him and the pain and anger that he feels in association with the event. While he has no evidence, Colby feels that it was an object under military control and the U.S. government has ducked taking responsibility for the accident. Colby said the helicopters, 23 double-rotor Chinooks, were always present, and that they maintained a distance of about 100 yards, surrounding (but not above) the object. He had the impression that they were escorting it, or perhaps that they were there to deal with the threat of the object (liberally paraphrasing). After the show, I asked Colby to look at a collection of images based on the UFO, “mugshots,” to find the closest match. Kathy Schuessler sketch from 1981. I then asked him to look at Chris Lambright’s illustration based on his 1985 interviews with Vickie Landrum and Betty Cash. Chris Lambright illustration based on his interviews with Vickie and Betty. A better understanding of this object will aid in its identification if it was a military vehicle or weapons test of some kind. Colby's contribution is an excellent step forward in establishing the best possible description of the UFO. Colby has expressed the desire to pick up where his grandmother Vickie left off, to try to get answers about what they encountered. I’m talking with him about ways to do this, emphasizing that any investigation will carry more weight with his involvement. But first, it is crucial to review the case and verify the existing details. To that end, Colby has some documents and photographs that may contain information not included in the public record, and examining them may provide some leads, or possibly new evidence. I’m extremely grateful to Martin for giving Colby the push he needed to start working on a solution. Colby told me afterwards, "I hope we can get this rolling. I have a good feeling about this." 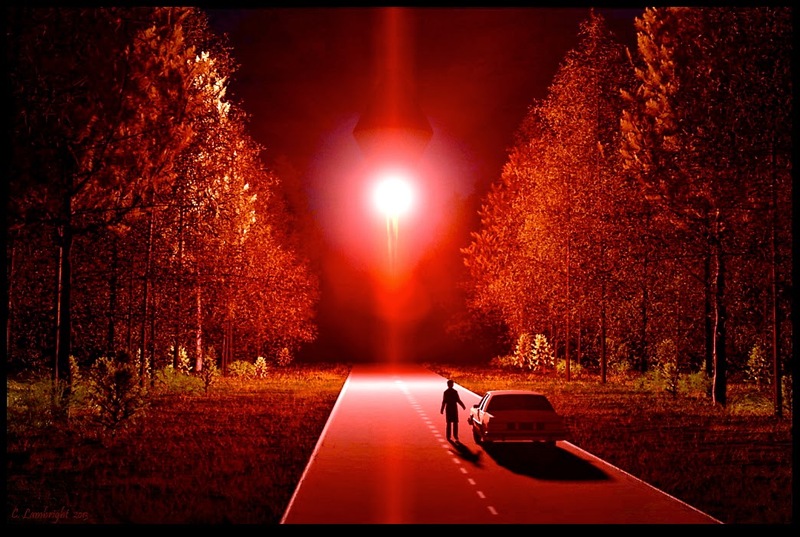 Anything learned about this mystery will serve as a valuable tool which can be applied to other UFO cases, particularly those involving military operations. I always wondered what ever became of the guy - thanks for the info. Curt, in your final estimate - what is your best guest that this thing could be? Thank you. Ron, I remained puzzled by the events. My examination shows that the story was oversold by the UFO investigator, and a lot of details that have come to be believed about the case are not solid facts as claimed. About the only indisputable fact in the story is that Betty Cash was sick and treated in the hospital. Despite all that's been said and written about it, there's no proof there was a UFO or even helicopters flying that night.